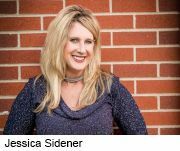 Breast cancer survivor Jessica Sidener is adamant that her illness brought real benefits to her life. But Nancy Stordahl is just as convinced that her bout with breast cancer shouldn’t be viewed as an opportunity for personal growth. In fact, her cancer memoir is titled Cancer Was Not a Gift & It Didn’t Make Me a Better Person. “Cancer is a horrible disease, not an enlightenment program,” said Stordahl, who lives in Wisconsin and maintains a popular blog about breast cancer called Nancy’s Point. After the program, these survivors had four times more positive than negative thoughts about changes they experienced because of their illness, the study found. The women typically felt better about their close relationships, they traveled more and took part in more spiritual activities, and felt that they’d gained a new sense of altruism and balance in life. “It’s a study about, I think, people’s resilience in the face of cancer, because on the average, everyone reported more positive changes than negative,” said senior researcher Barbara Andersen. She is a professor of clinical psychology at Ohio State University. On the other hand, these survivors also listed negative and neutral changes from breast cancer that did not differ significantly from those reported by a “control group” who didn’t receive extra counseling. For the study, 85 women with stage 2 or 3 breast cancer were provided group psychological counseling that stretched over a full year. The women were all treated at Ohio State’s Arthur G. James Cancer Hospital, or by other physicians in the Columbus area. The research team decided to keep tracking the women to see if the counseling had any lasting impact on their survivorship, compared with 75 control patients who didn’t get to participate in the program. Two years after diagnosis and one year after treatment, all 160 women were asked to complete a “thought list,” in which they wrote down ways their life had changed as a result of their breast cancer. They listed changes and then labeled them as positive, negative or neutral. For example, a woman might say she and her husband were closer as a result of going through breast cancer treatment, or that they didn’t receive the support they expected from some people in their lives. Sidener sees her breast cancer as something that’s brought many positives to her life. She serves on the executive team of a library system, but also runs a business that teaches women about early breast cancer detection. The overall journey “opened my heart and my mind to how I can use this experience to really serve others and maybe help educate others,” Sidener said. However, “it’s a big leap to assume that just because a person is making positive changes in lifestyle, relationships or whatever, the cancer experience itself is then viewed as a positive. I don’t agree with that premise,” she continued. “Concluding that such interventions are helping patients to make lemonade or find silver linings in cancer, in my opinion, is a stretch,” Stordahl said. It’s normal for people to find meaning in their cancer experience while still acknowledging it as a terrible ordeal, said Sarah Cassidy, director of external affairs for the Cancer Hope Network. “Finding benefits post-treatment, in your ‘new normal,’ doesn’t mean that there weren’t other terrible things going on,” she said. Andersen said her research team already has been making their counseling program available to other providers, and have heard back that it’s made a difference in reducing stress among patients. But he’s not sure how widespread the program will be adopted, given that it’s a year long and requires a lot of effort.